Journal Journey and Joy! : Hair salon "ANDY"
My hair got too long for me, so I looked for someone who could cut my hair. 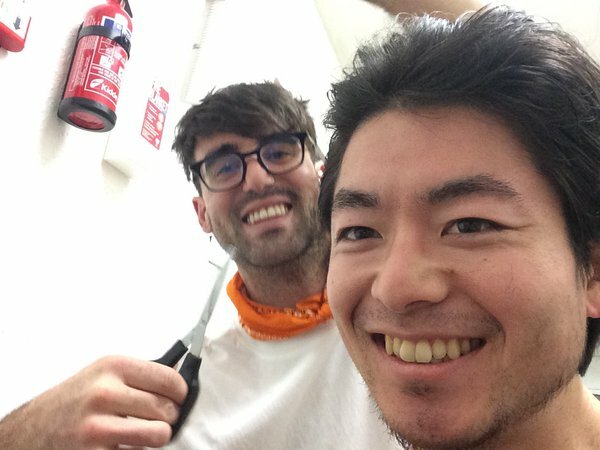 When I am in Japan my friend, who is a professional barber, cuts my hair for free. So I don't want my haircut to cost now I’m in Ireland. I asked Andy to cut my hair. He willingly accepted my request. He is not a professional but he has experience. He did what I asked. Thank you very much Andy!